Brian James Freeman’s novels, novellas, short stories, essays, and interviews have been published by Warner Books, Cemetery Dance Publications, Borderlands Press, Book-of-the-Month Club, Leisure, and many others. His short fiction has appeared in numerous magazines and anthologies since 1994 including From the Borderlands (Warner Books), Borderlands 5 (Borderlands Press), Corpse Blossoms (Creeping Hemlock Press), and all seven volumes of the acclaimed Shivers anthology series (Cemetery Dance Publications). 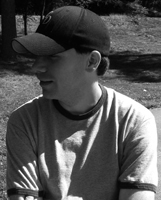 Freeman is also the editor of the anthology Dueling Minds, which was published in 2013 as the 10th volume in the acclaimed Cemetery Dance Signature Series. He’s well-known in the Stephen King fan community for his retired website, StephenKingNews.com, and he has co-authored two books of Stephen King trivia. Since December 2008, Freeman has been the managing editor of Cemetery Dance magazine, where his column “The Final Question” appears. Freeman is also the publisher of Lonely Road Books where he has worked with Stephen King, Guillermo del Toro, Chuck Hogan, Mick Garris, Stewart O’Nan, and others. Freeman lives in Pennsylvania with his wife, two cats, and two German Shorthaired Pointers. The “Lightning Five,” so called because of their prowess on the football field, has reunited twenty years after a tragedy sent one of them away — so far away that the other four all thought he was dead. Adam simply calls Steve one day out of the blue and says that he’d like to go hunting with the old crew, practically giving Steve a heart attack. The gang agrees to get together, especially because there’s supposed to be an amazing meteor shower that night. They’ll climb onto the roof of the cabin they built together and watch the show. The Painted Darkness — (2010) Publisher: When Henry was a child, something terrible happened in the woods behind his home, something so shocking he could only express his grief by drawing pictures of what he had witnessed. Eventually Henry’s mind blocked out the bad memories, but he continued to draw, often at night by the light of the moon. Twenty years later, Henry makes his living by painting his disturbing works of art. He loves his wife and his son and life couldn’t be better… except there’s something not quite right about the old stone farmhouse his family now calls home. There’s something strange living in the cramped cellar, in the maze of pipes that feed the ancient steam boiler. A winter storm is brewing and soon Henry will learn the true nature of the monster waiting for him down in the darkness. He will battle this demon and, in the process, he may discover what really happened when he was a child and why, in times of trouble, he thinks: I paint against the darkness. But will Henry learn the truth in time to avoid the terrible fate awaiting him… or will the thing in the cellar get him and his family first? Written as both a meditation on the art of creation and as an examination of the secret fears we all share, The Painted Darkness is a terrifying look at the true cost we pay when we run from our grief — and what happens when we’re finally forced to confront the monsters we know all too well. More Than Midnight — (2012) Publisher: This collection features five tales of horror by Brian James Freeman that deal with both real and supernatural terrors. It explores locations you would never think to look in because sometimes we find our darkest demons in the most unexpected places. These five stories showcase Freeman’s dazzling virtuosity and imagination as his characters descend into the depths of madness. Find out why Richard Matheson has called his writing ‘spooky stuff’ and why Stewart O’Nan has said his stories have ‘great velocity and impact.’ There is darkness all around us, and Freeman isn’t afraid to shine a light onto the things that scare us the most. Weak and Wounded — (2014) Publisher: This new collection by Brian James Freeman features characters who are searching for answers to deeply troubling questions. 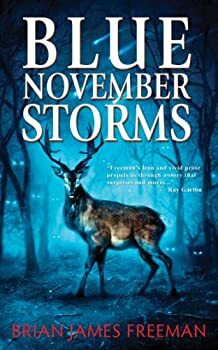 These five hauntingly beautiful stories show why Publishers Weekly has called Freeman s writing skillfully composed prose and why Tess Gerritsen has said, Brian James Freeman managed to both scare me and move me to tears. FIND MORE TITLES BY BRIAN JAMES FREEMAN HERE.